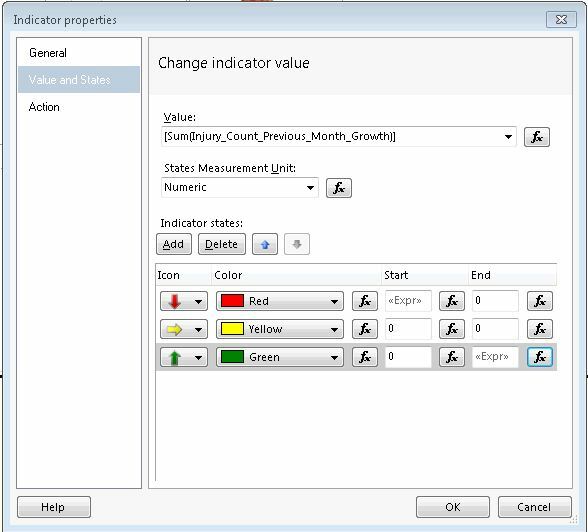 How to set the States and Values of Indicator in SSRS 2008R2? I have a task to set up a KPI for Injury count for my dashboard. When the injury count growth is negative, set the indicator arrow to down and red. When the growth is zero set it to point to the right direction and yellow. When the growth is positive, set the indicator arrow to up and green. The calculated measure that I have created for this scenario is [Measures].Injury_Count_Previous_Month_Growth]. This calculated measure is used in my report dataset. 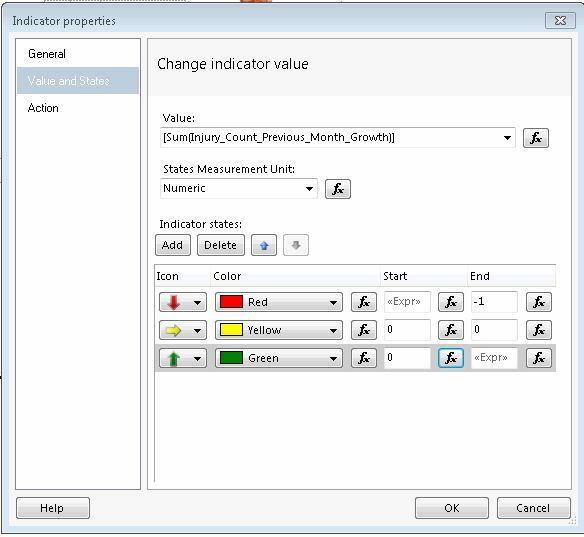 Question: how to set the Start and End range in each indicator arrow in order to meet my requirement? After several attempts, I managed to get it to work. and the End to -1. For the yellow arrows, set both Start and End to zero.